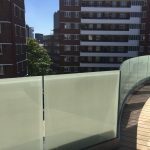 Details: We have supplied and installed frameless glass balustrade systems to many commercial and public buildings as well as numerous private clients. 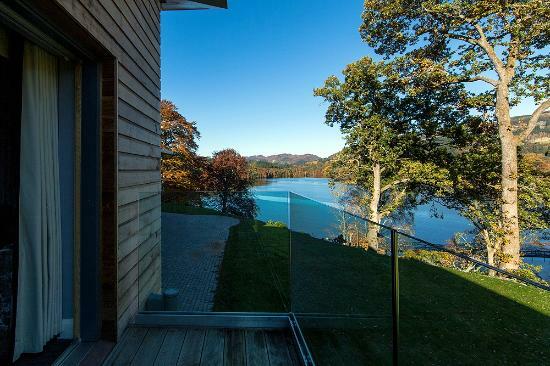 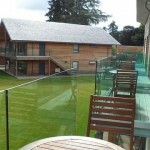 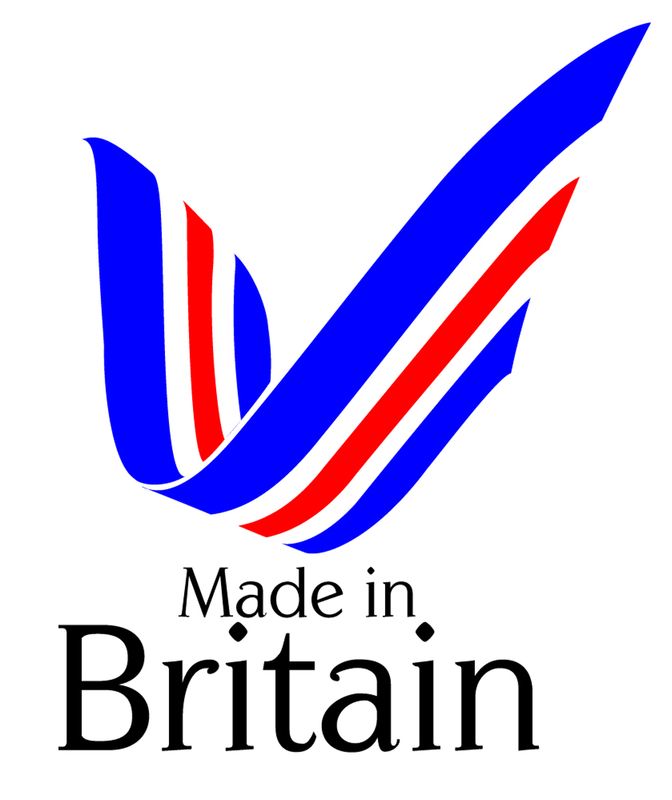 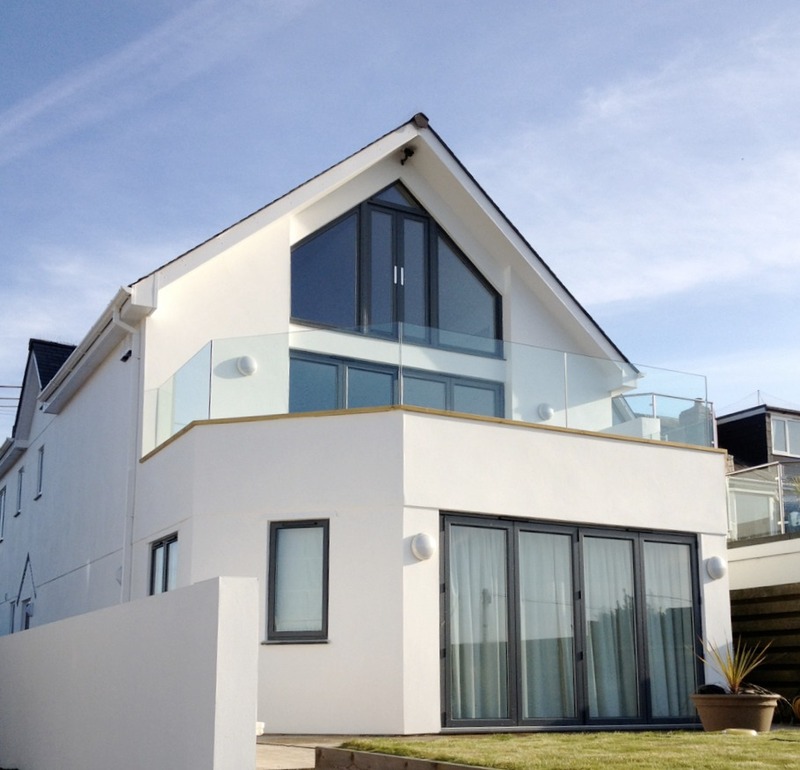 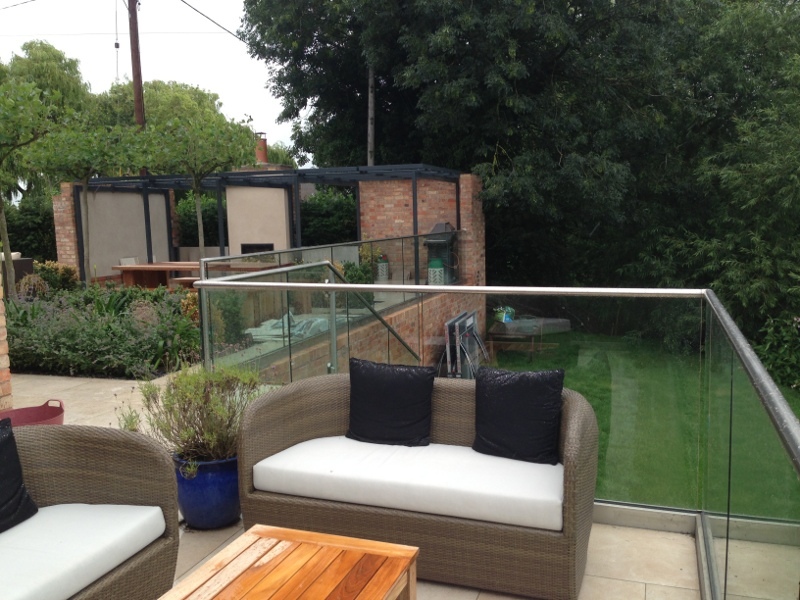 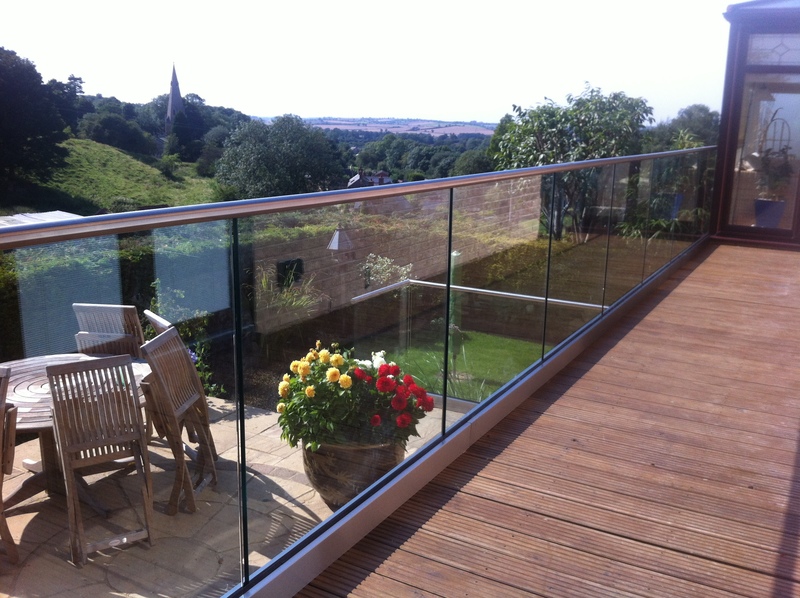 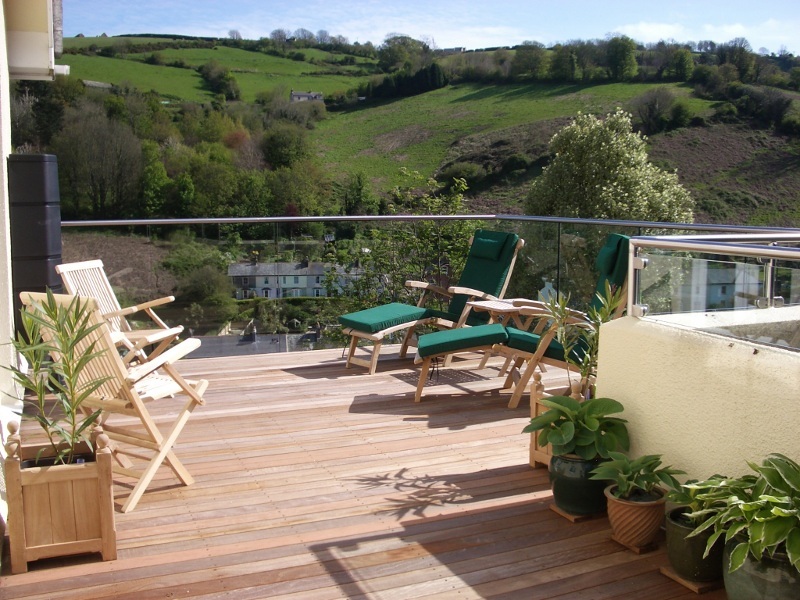 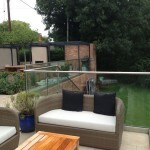 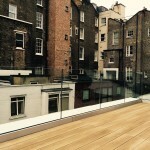 You can find examples of our completed balustrade projects towards the bottom of this page. 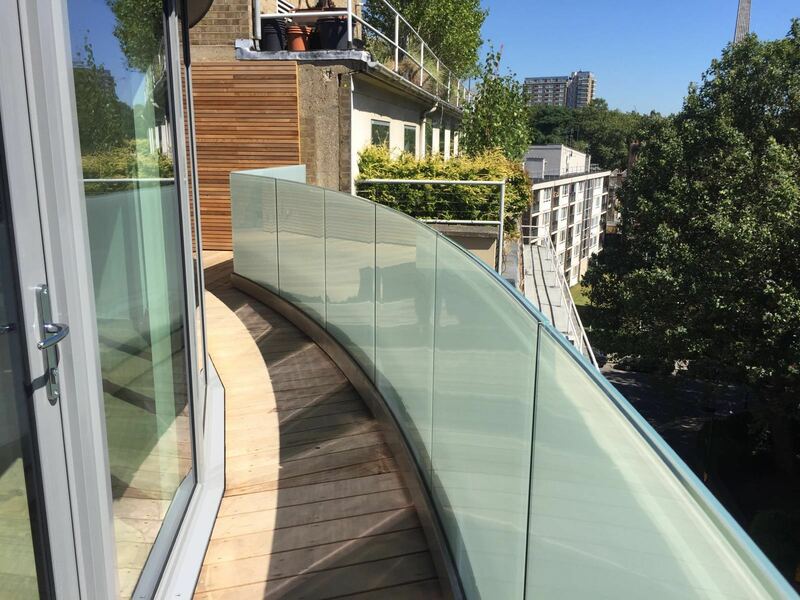 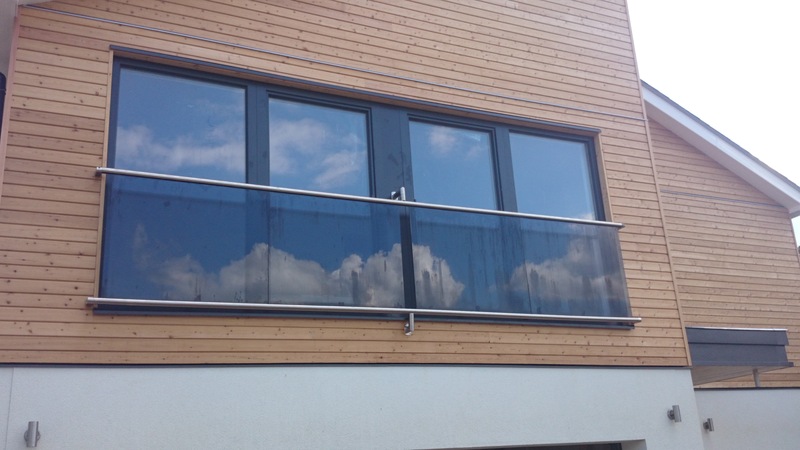 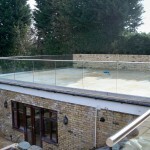 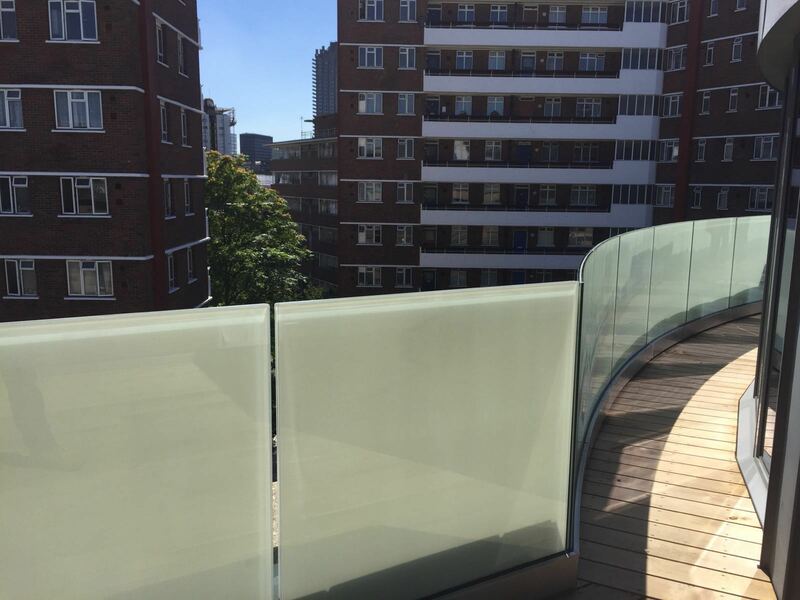 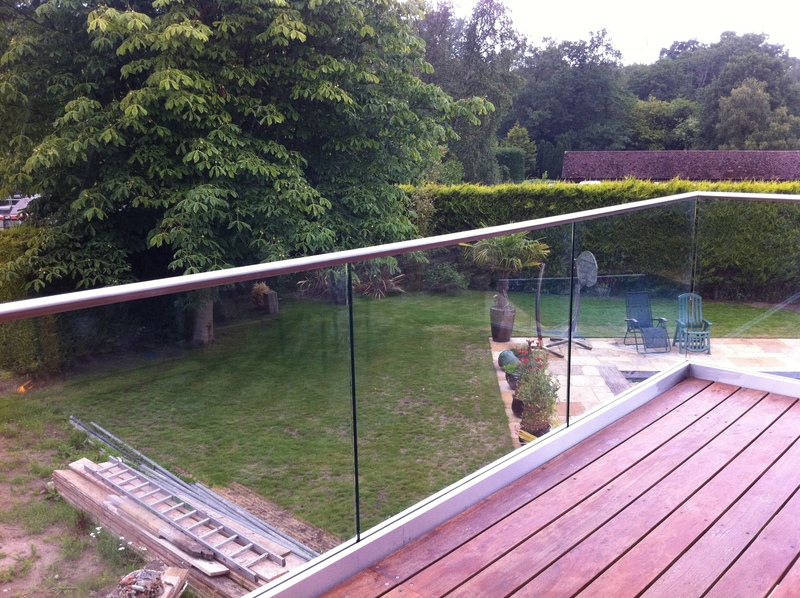 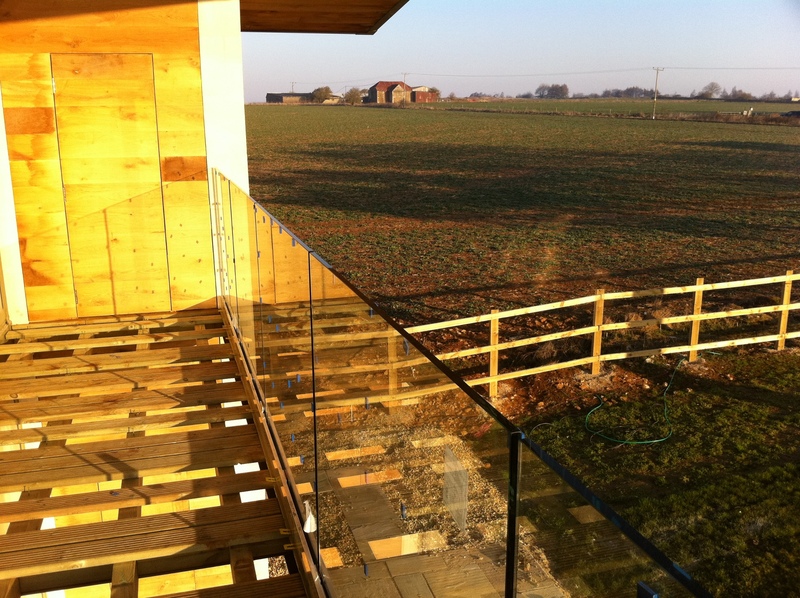 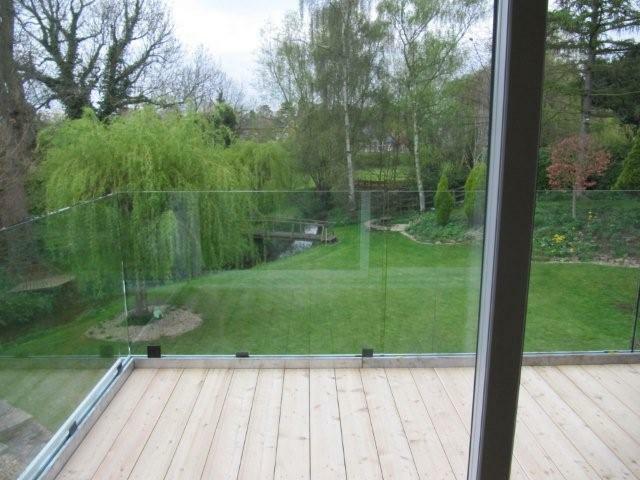 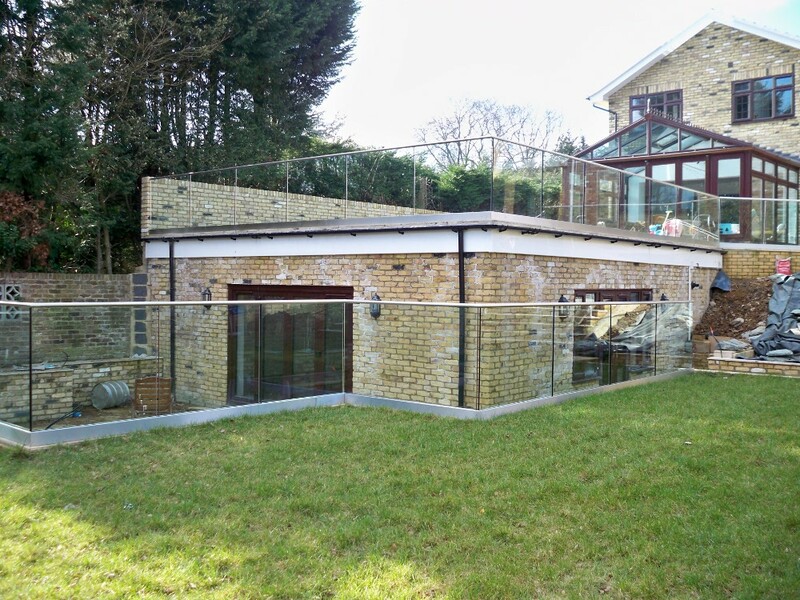 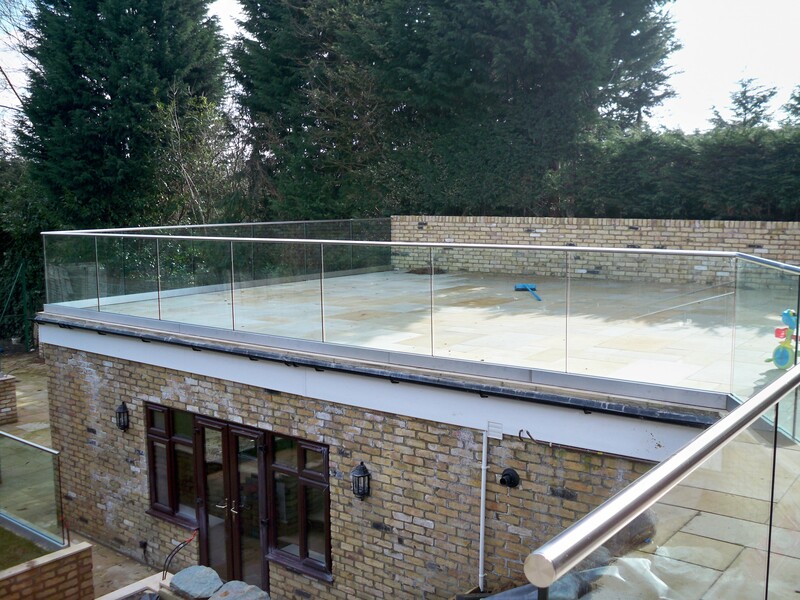 The frameless glass balustrade system uses a pre-drilled aluminium glass channel which can either be base or side fixed with stainless steel cladding fixed to the sides for the final finish. 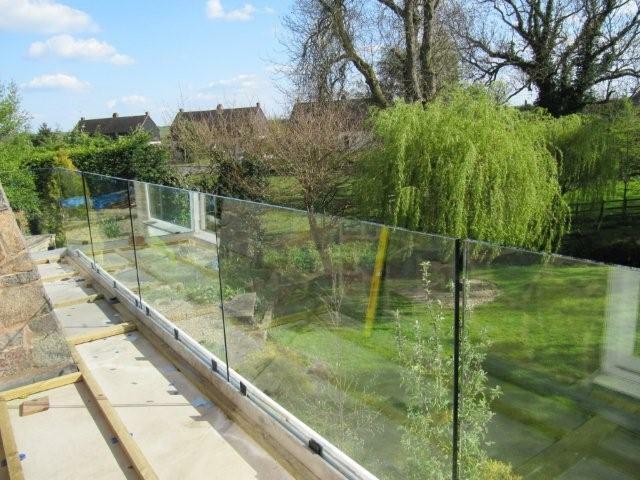 Grips secure the glass in place, a rubber gasket and stainless steel slotted tube top rail can then be added. 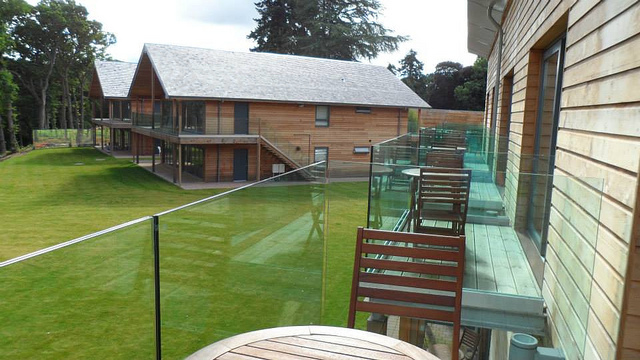 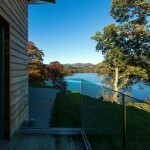 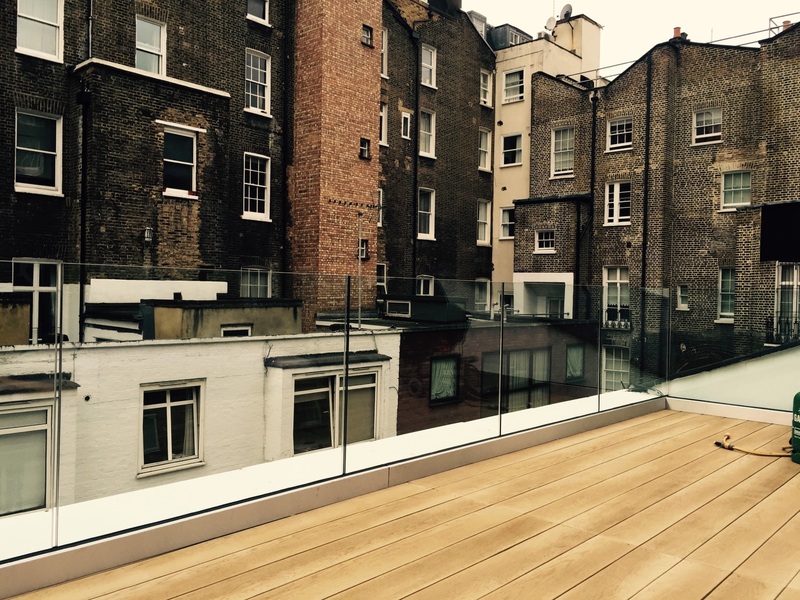 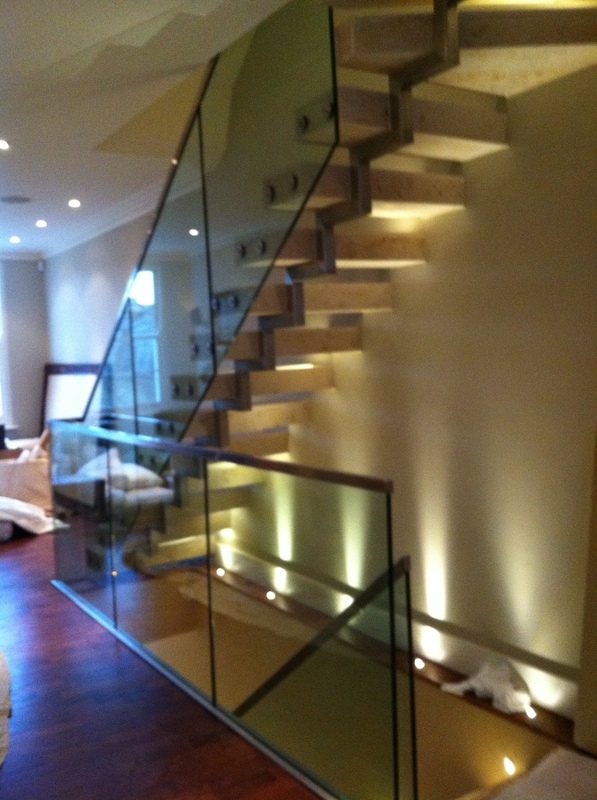 This provides you with a simple yet stunning frameless balustrade system! 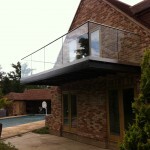 Visit our eShop at Balustrade.Glass. 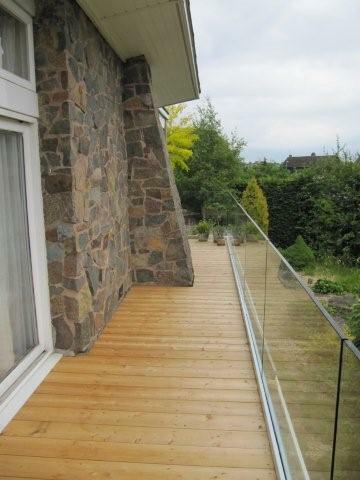 The Grip system has been designed to save time and effort on installation compared to other systems. All you need is an allen key for installation and removal. 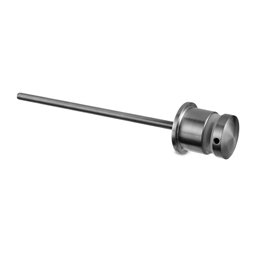 The image below shows the simple process involved; a plastic packer is inserted to one side of the glass, the grip the other. 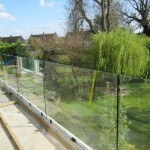 Using an allen key, tighten the fixing to securely grip the glass in place. 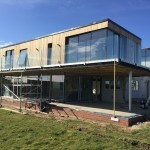 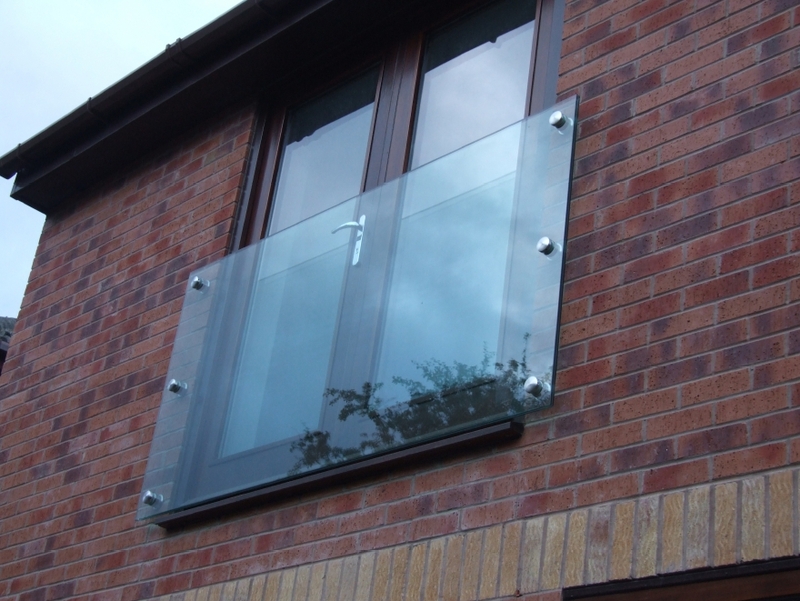 Glass sizes range from 9-21.5mm, however for a structural requirement (such as a balcony), we would suggest a minimum glass thickness of 15mm. 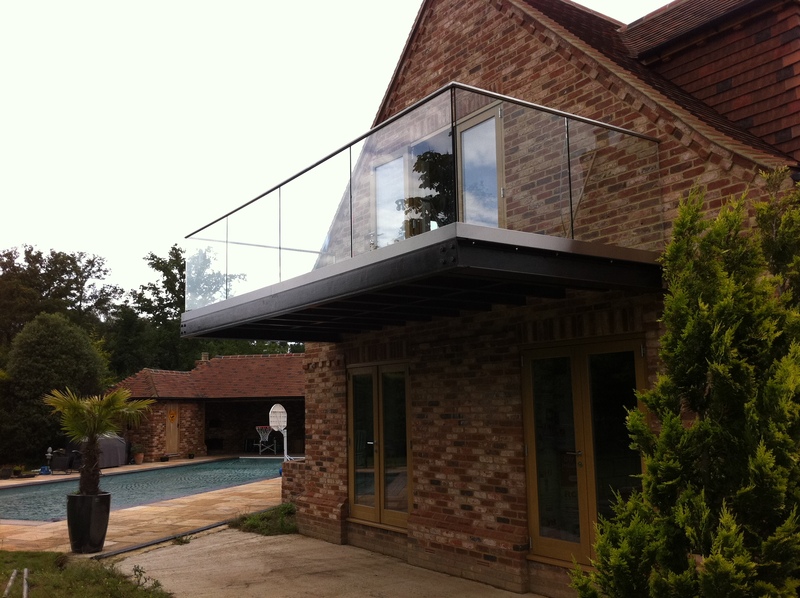 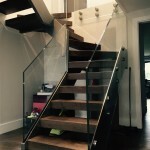 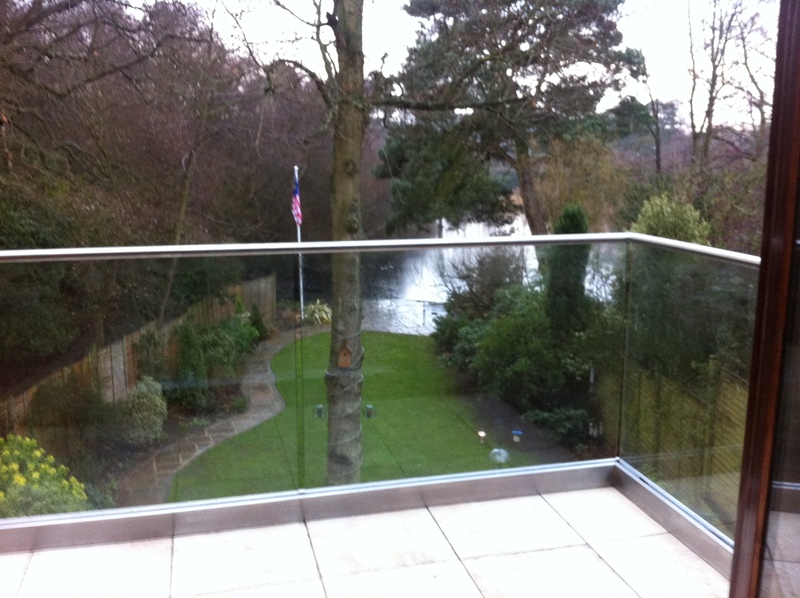 Please contact us for more information and pricing on our frameless glass balustrade. 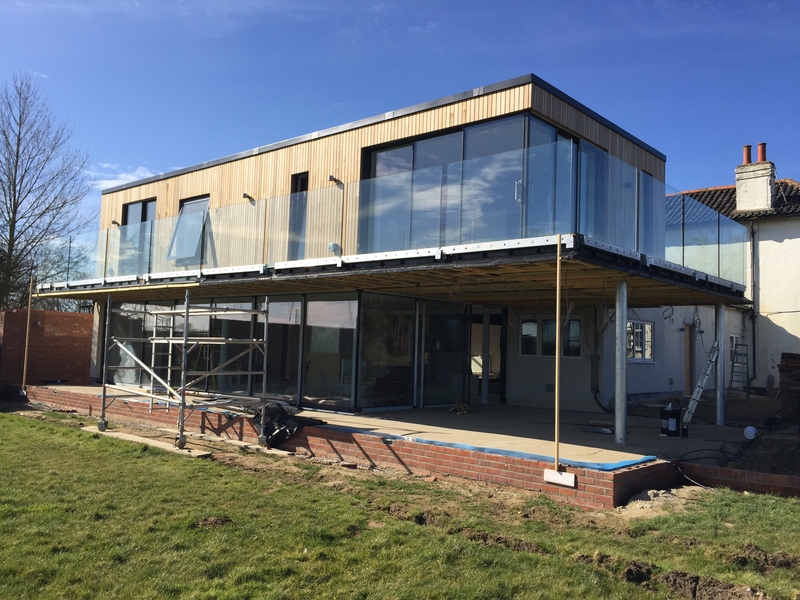 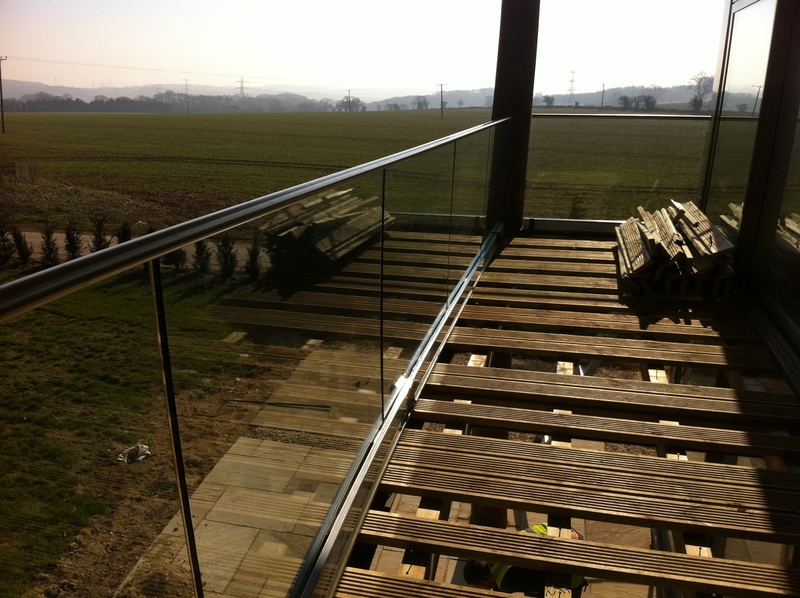 Our experienced installations teams have traveled across the UK installing all types of metalwork, including frameless glass balustrade. As professional fitters they have the latest tools required, are fully insured and Health & Safety trained, plus they hold all relevant certifications. 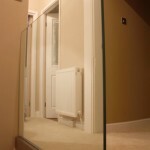 All our fitters are employed directly by us. 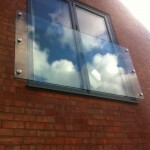 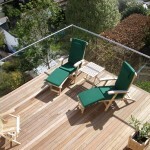 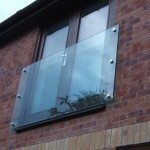 We are able to supply various types of glass juliette balconies. 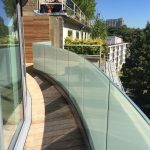 These include frameless glass juliette balconies, wall flanged juliette balconies and and framed glass juliette balconies. 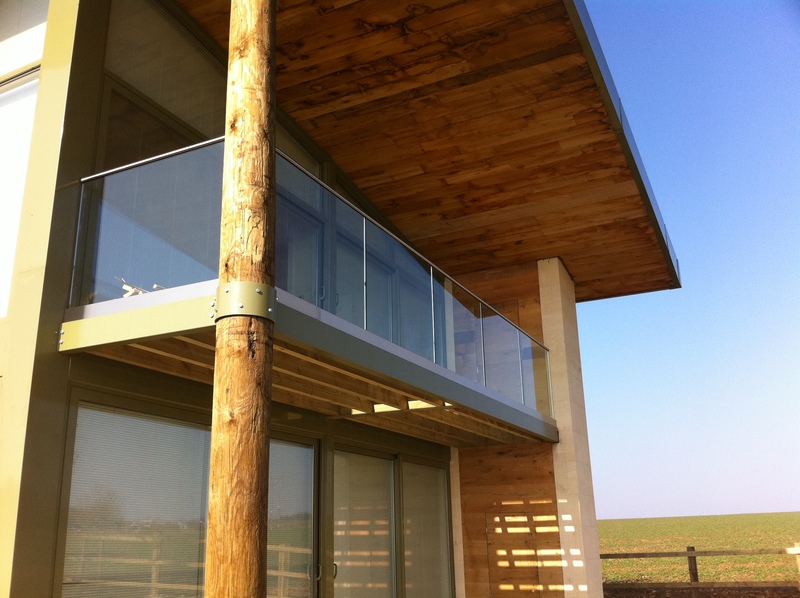 As a steel fabricator, we can easily manufacture to your bespoke requirements. 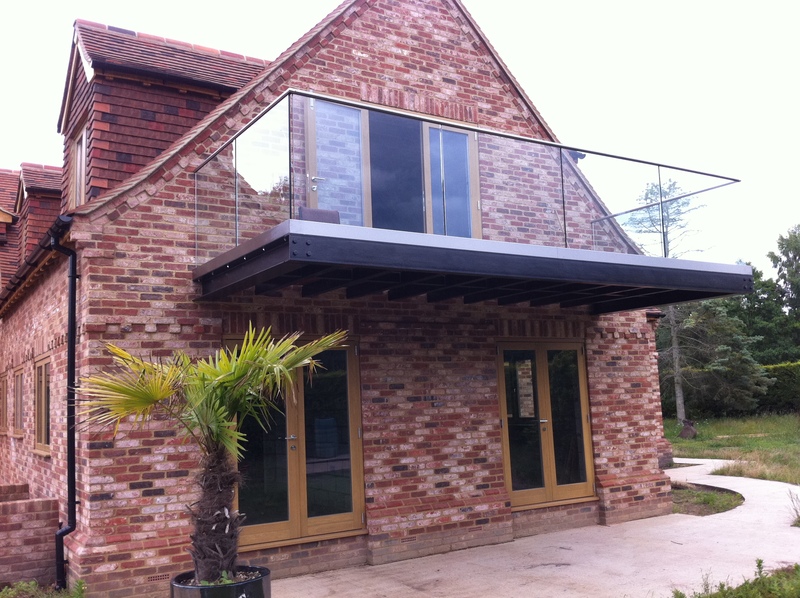 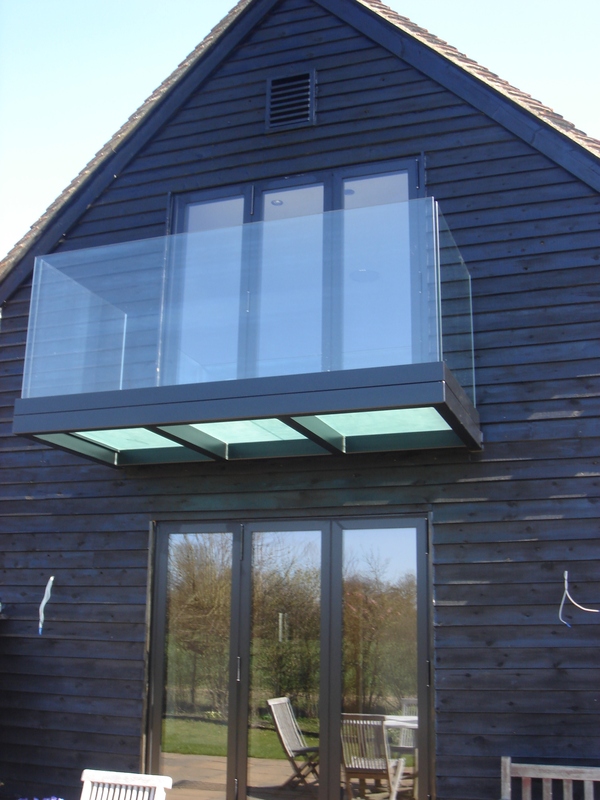 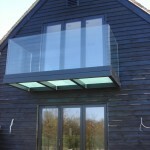 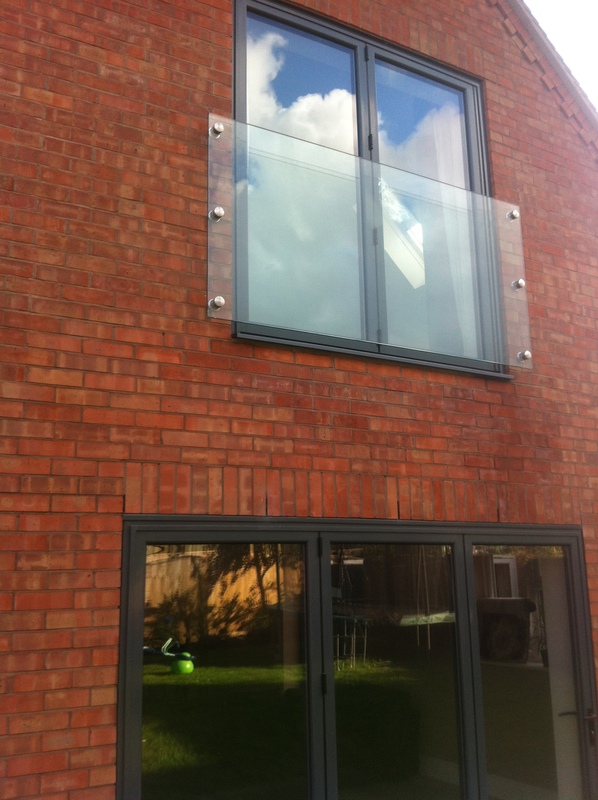 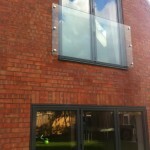 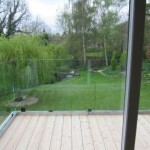 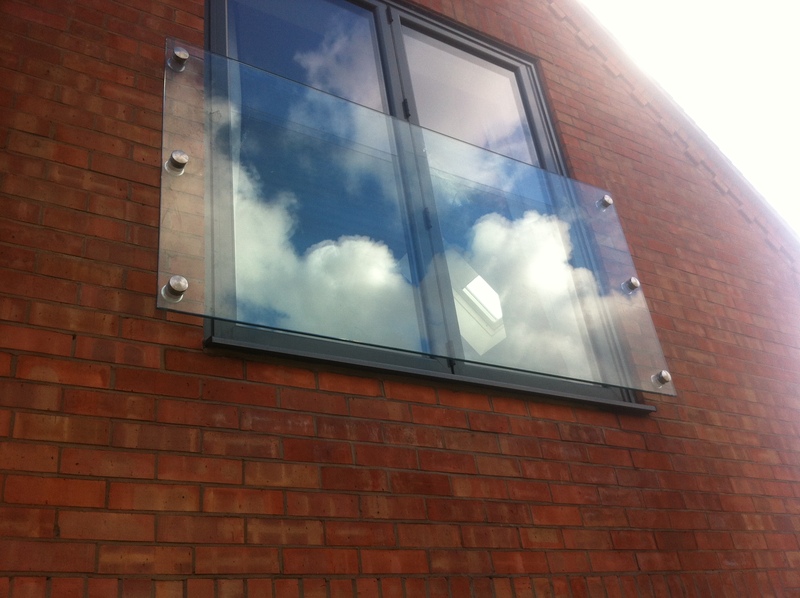 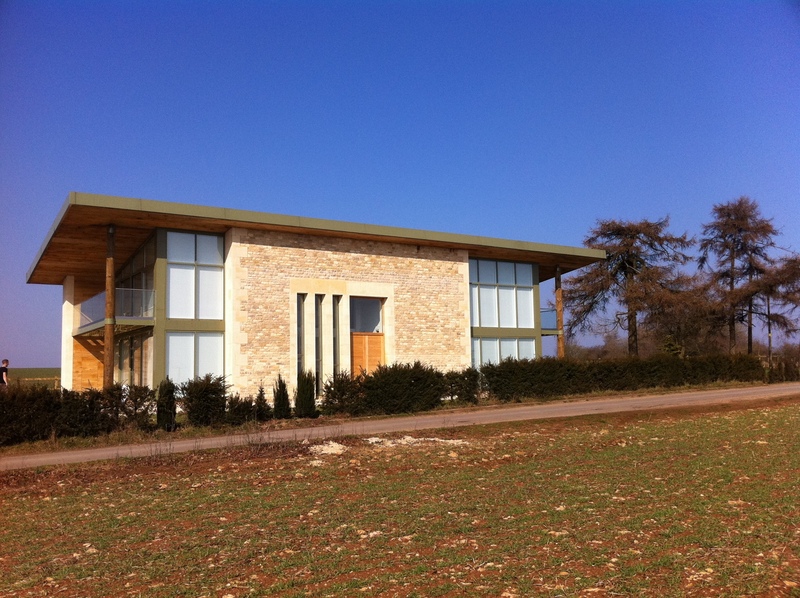 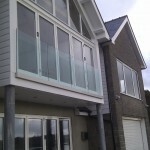 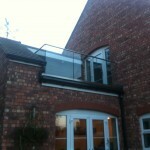 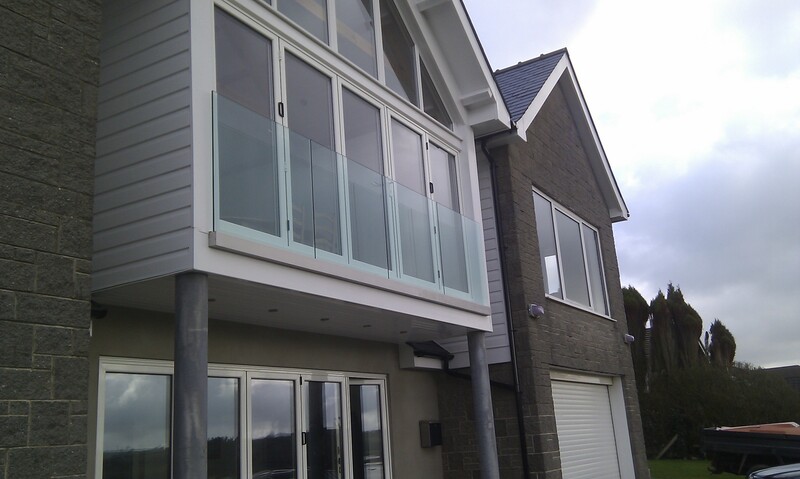 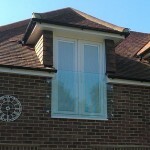 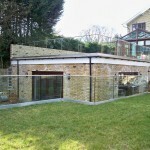 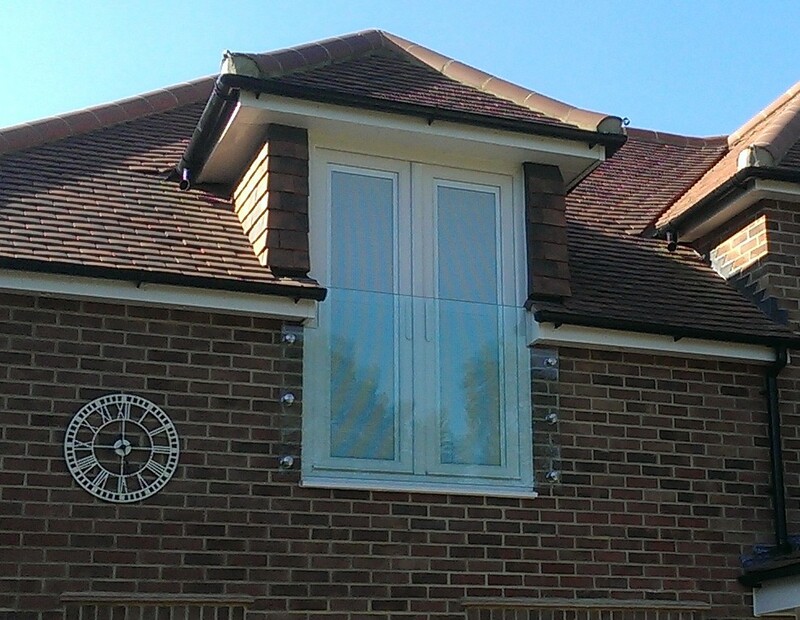 Read more about our glass juliette balcony. 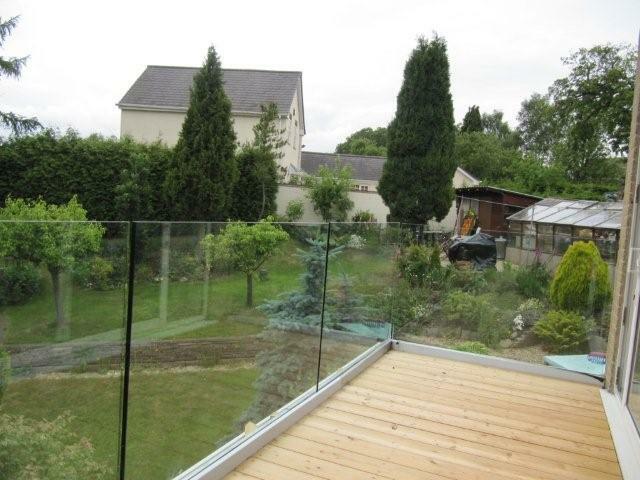 “Thank you for all your help in making my home in France a more pleasant place to live”. 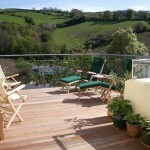 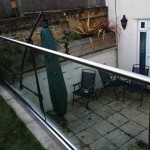 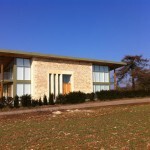 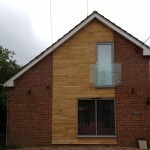 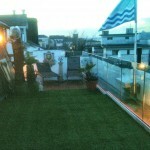 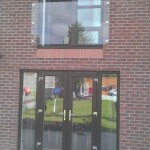 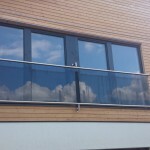 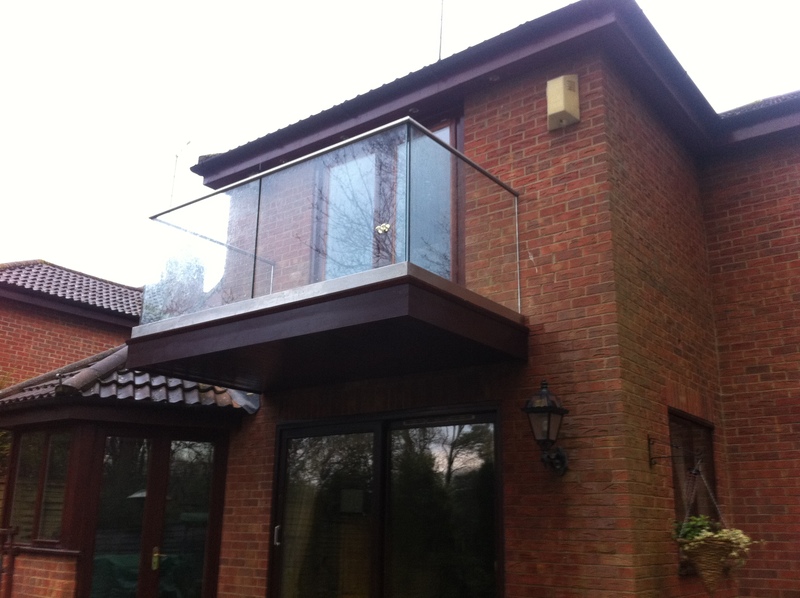 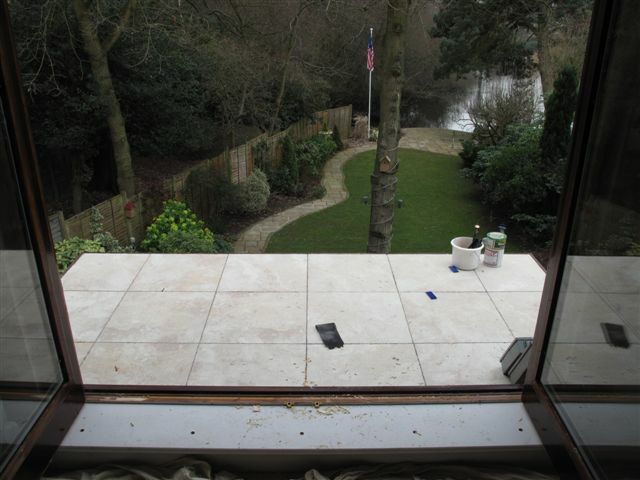 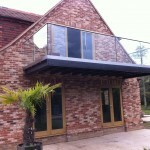 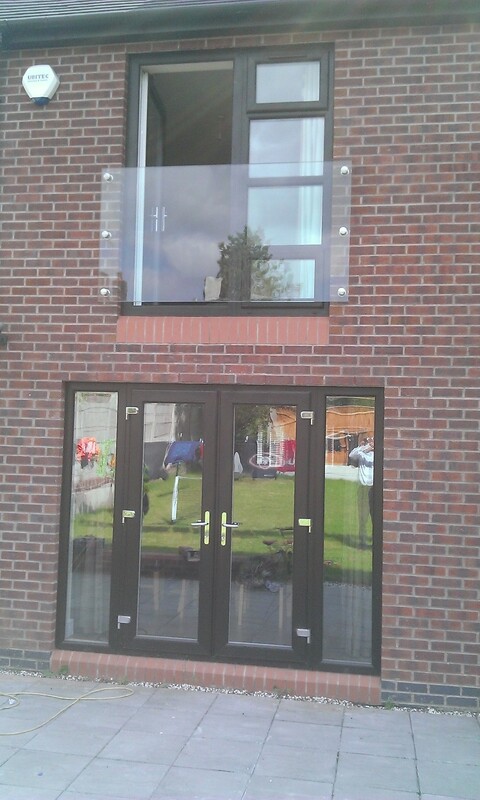 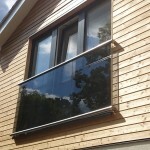 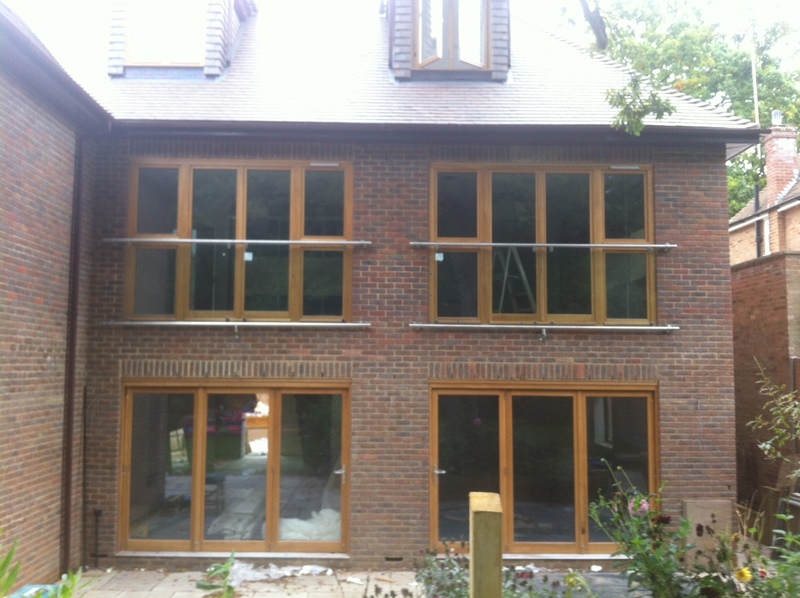 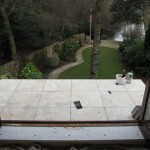 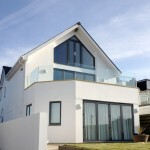 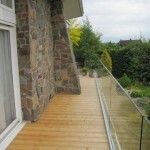 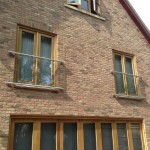 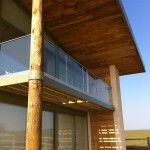 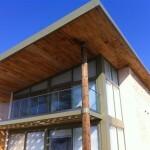 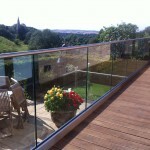 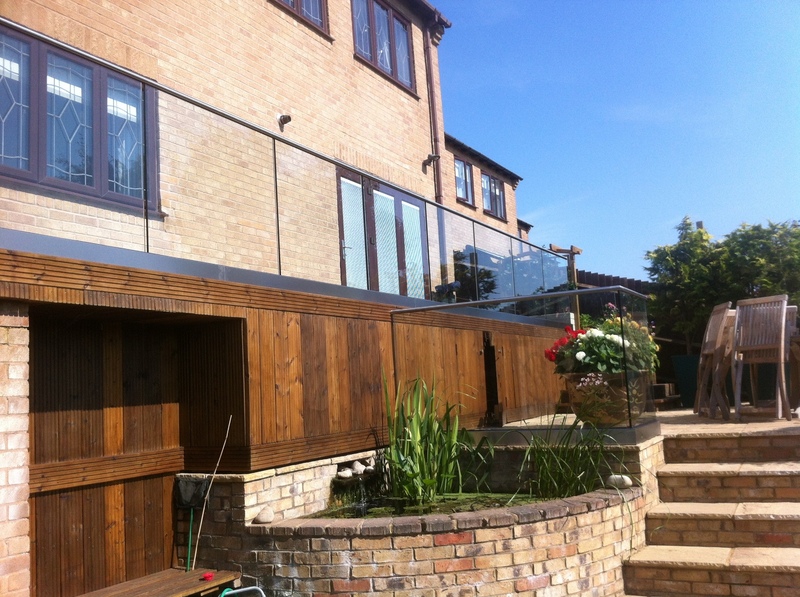 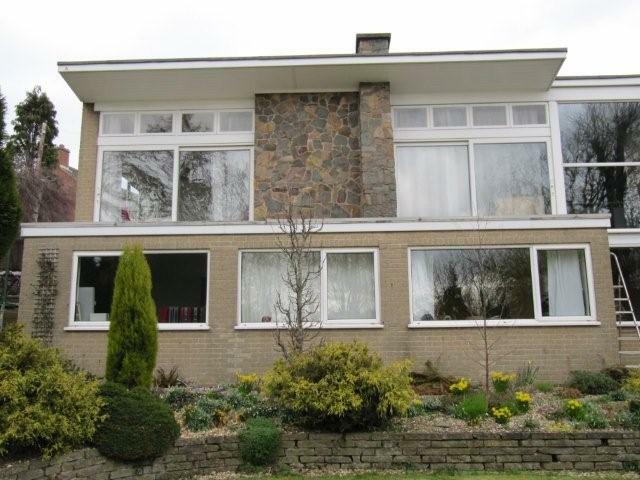 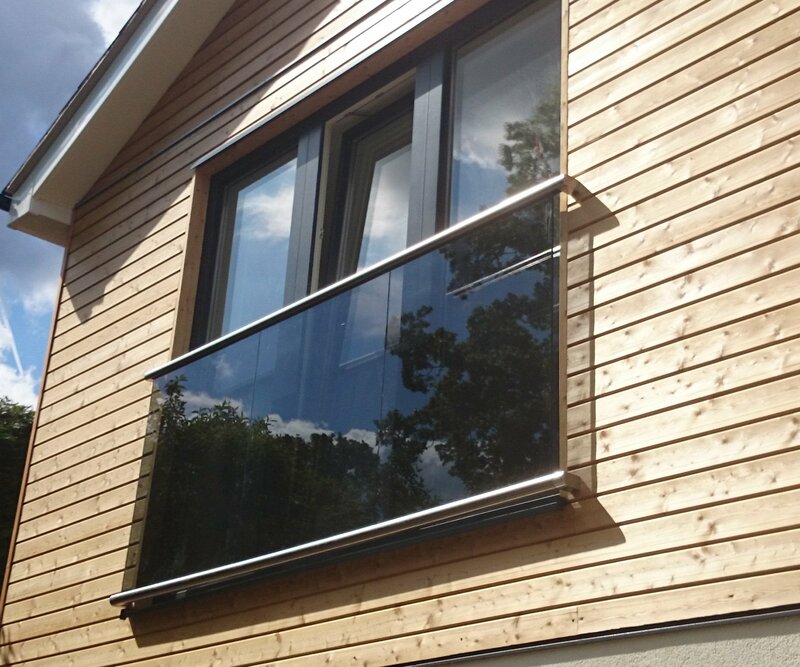 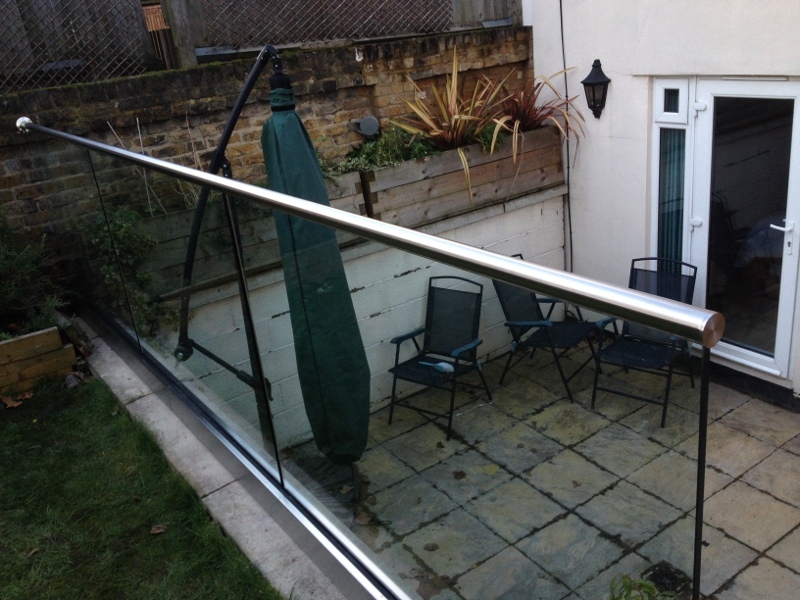 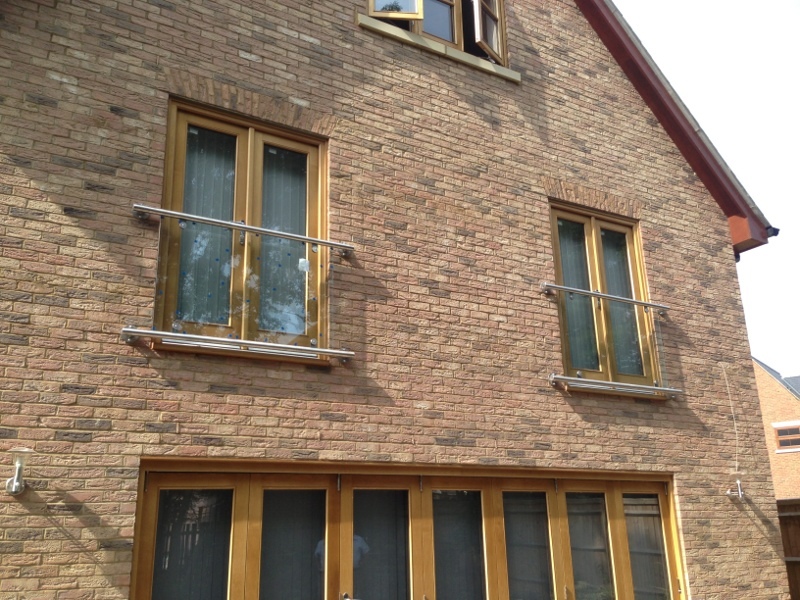 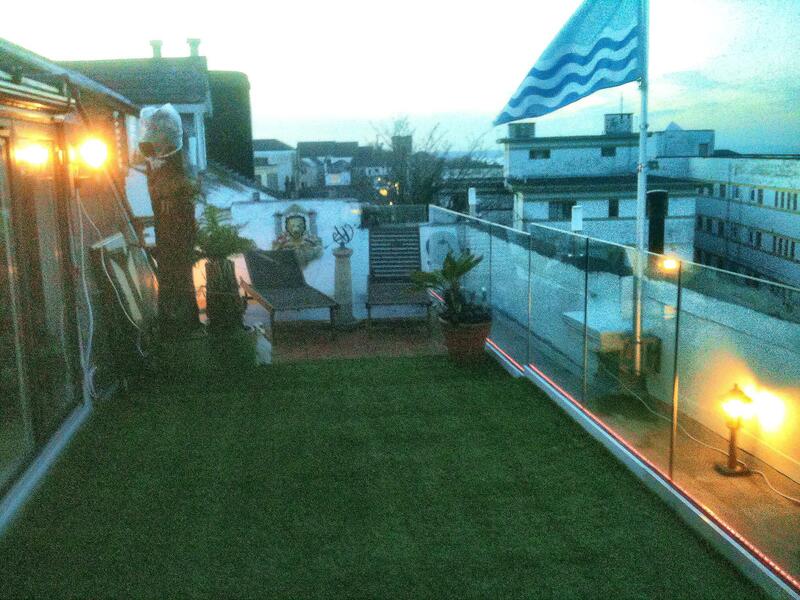 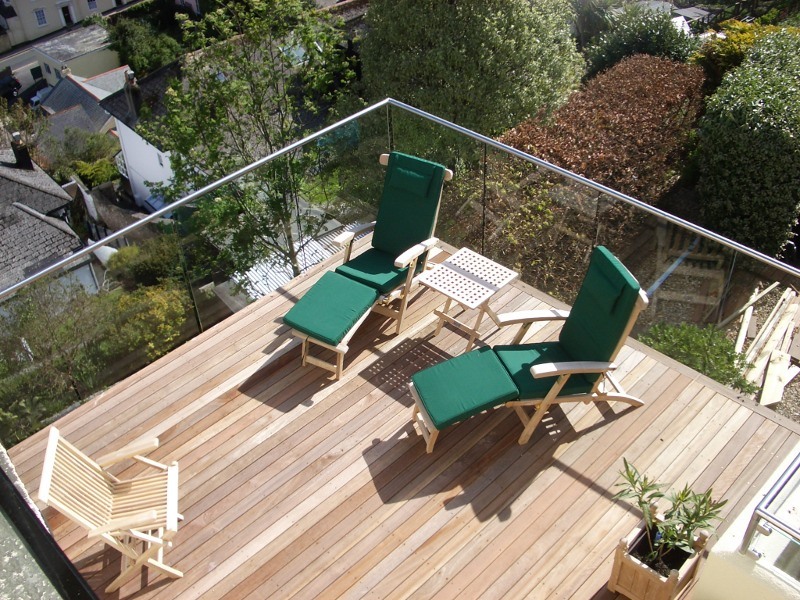 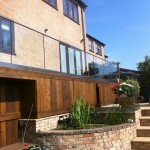 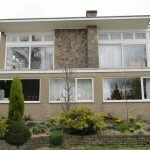 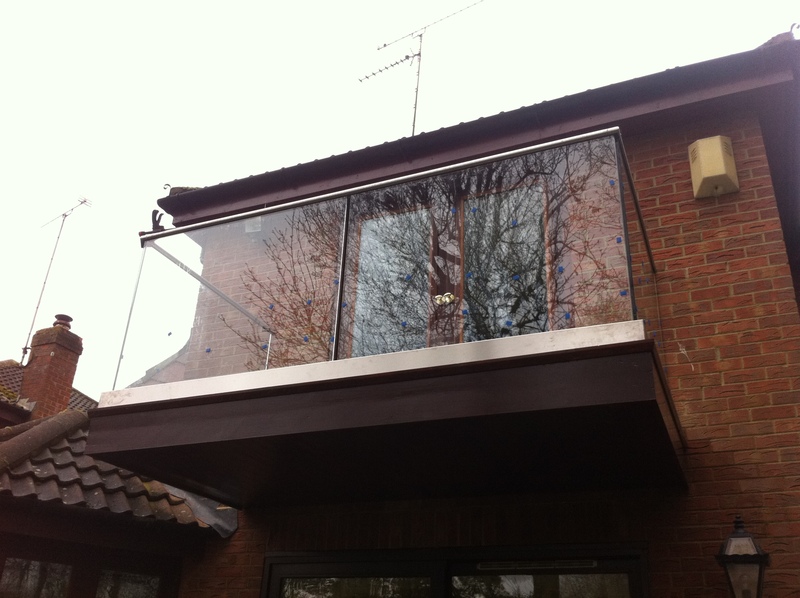 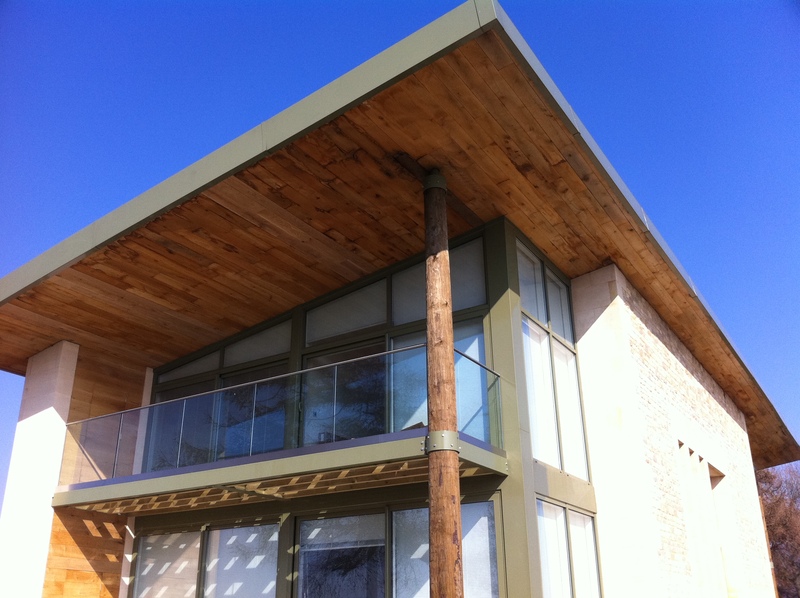 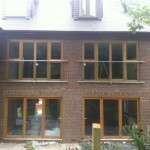 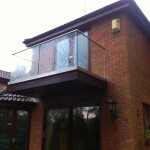 “We are very pleased with the balcony and your installers were excellent”. 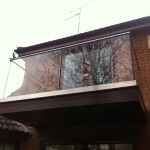 “Your service has been the best I have come across from start to finish”. 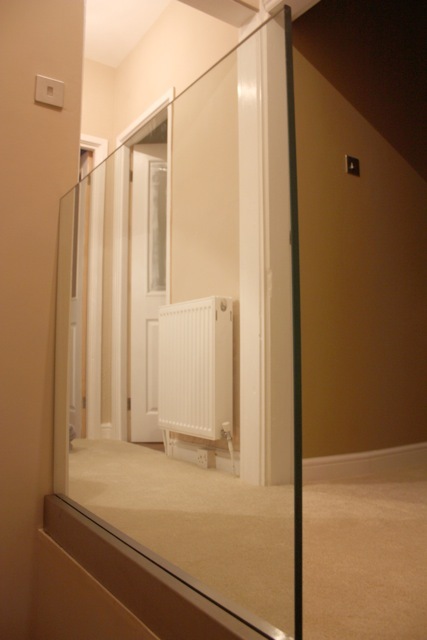 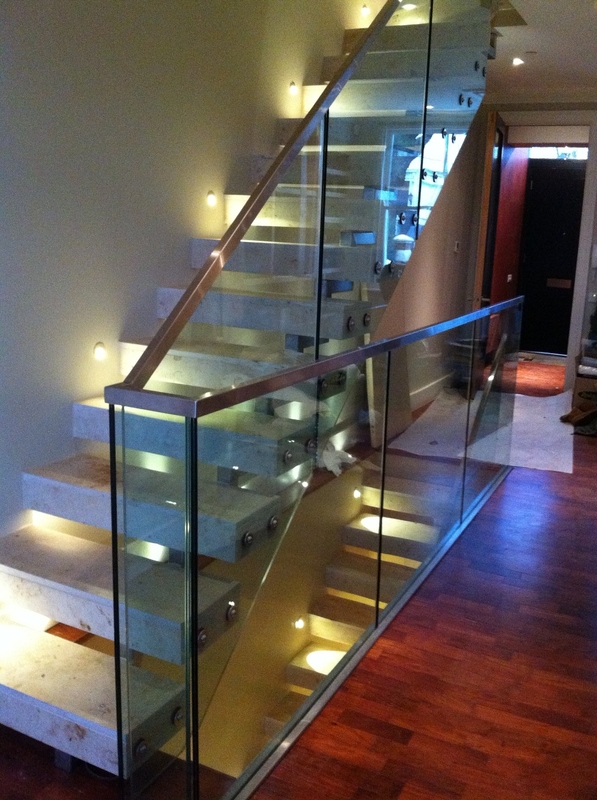 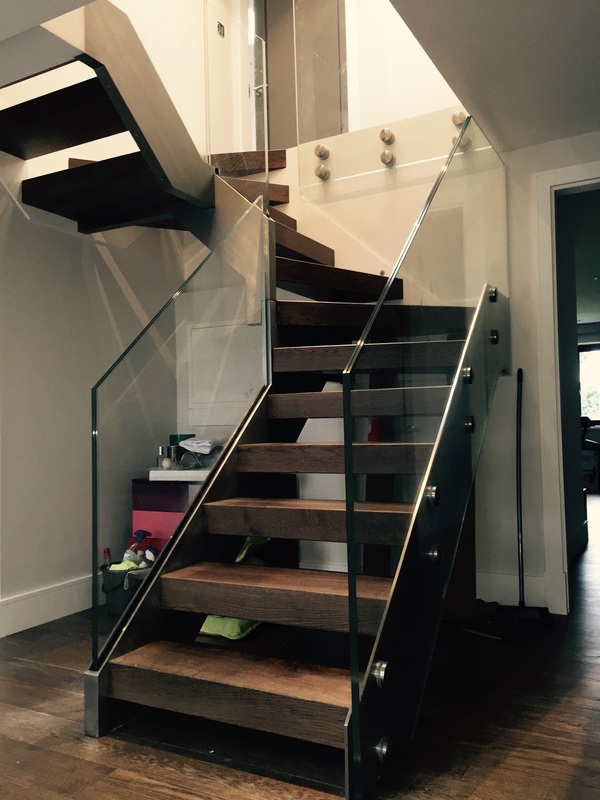 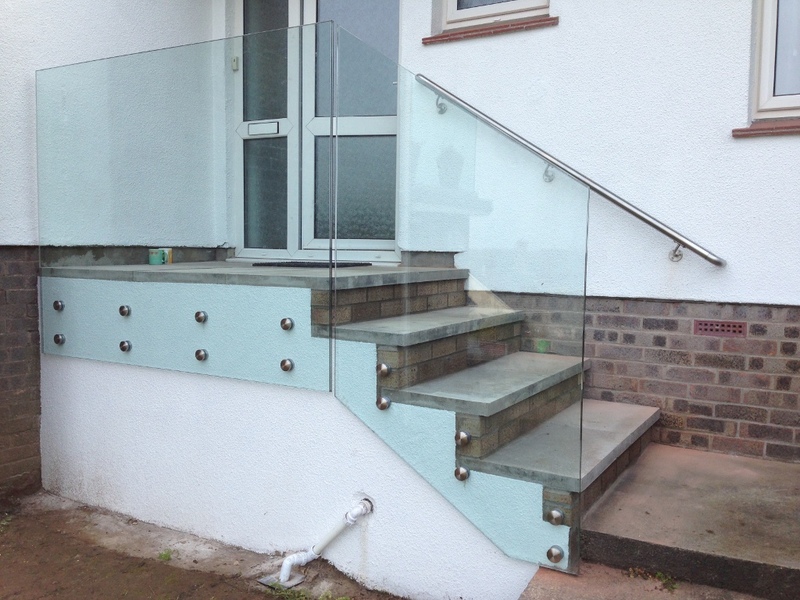 As well as the frameless glass balustrade system with aluminium U-channel, we can supply round or square stainless steel glass adaptors (also known as point fixings), which allow you to fix the glass straight into stair treads, stair stringers or walls – this also offers a frameless look. 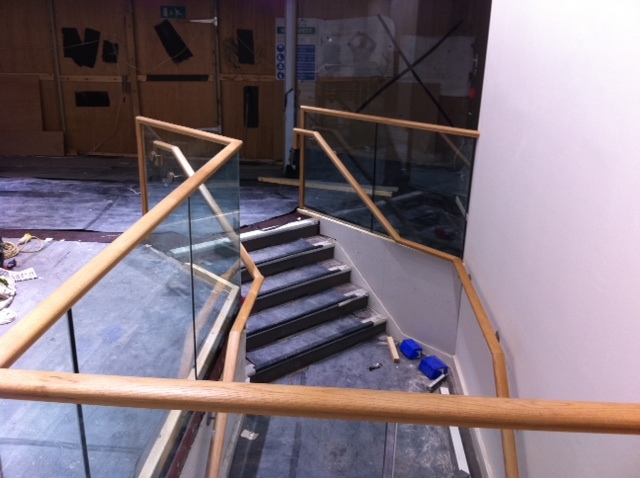 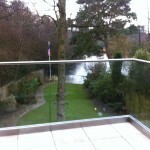 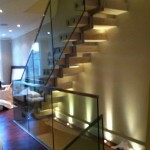 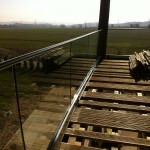 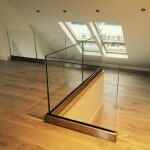 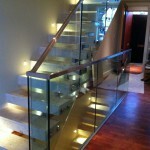 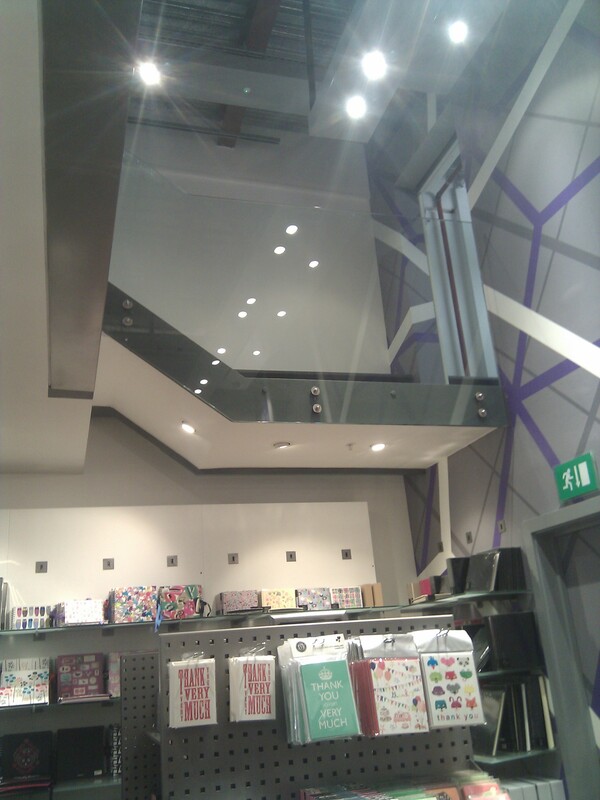 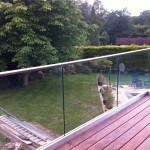 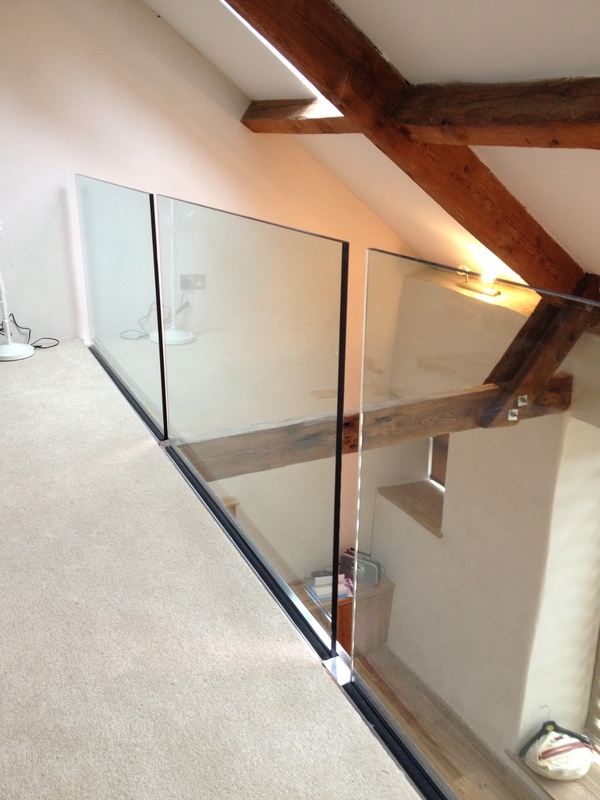 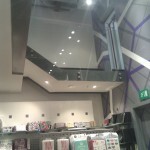 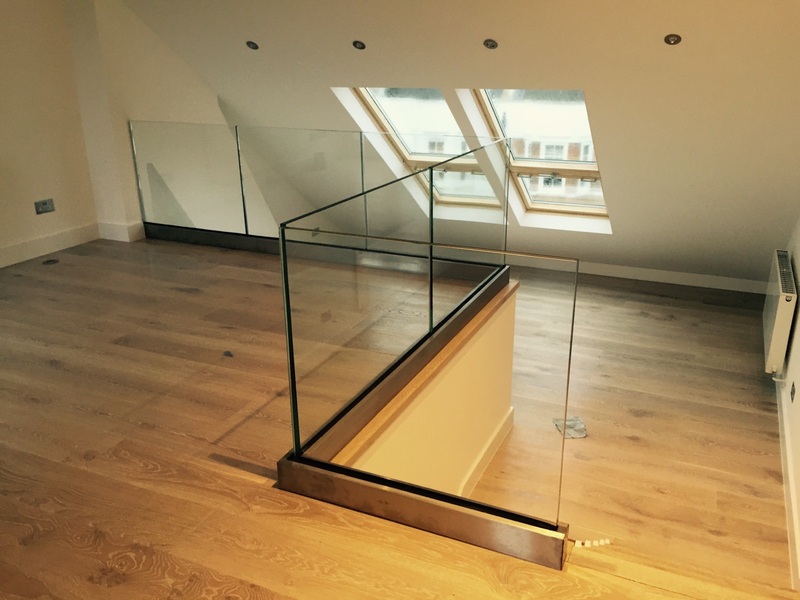 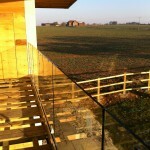 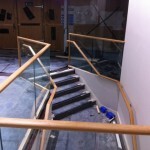 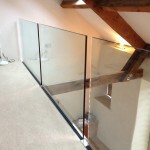 If you are interested in our frameless glass balustrade, please contact us for further details. 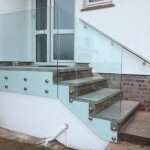 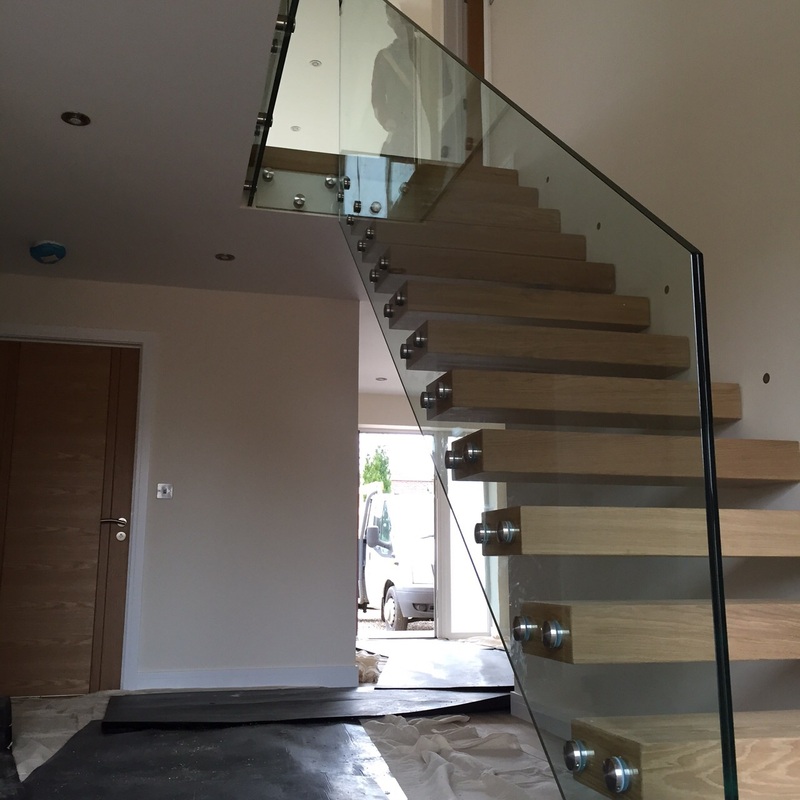 If you require any further information regarding frameless glass balustrade, or any other architectural metalwork items, please do not hesitate to get in contact with us. 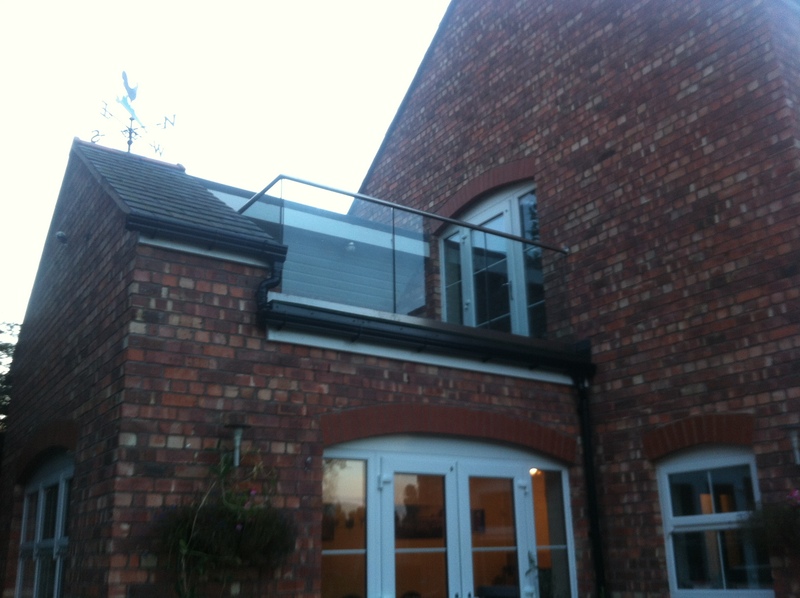 At Morris Fabrications Ltd, we’re always happy to help.